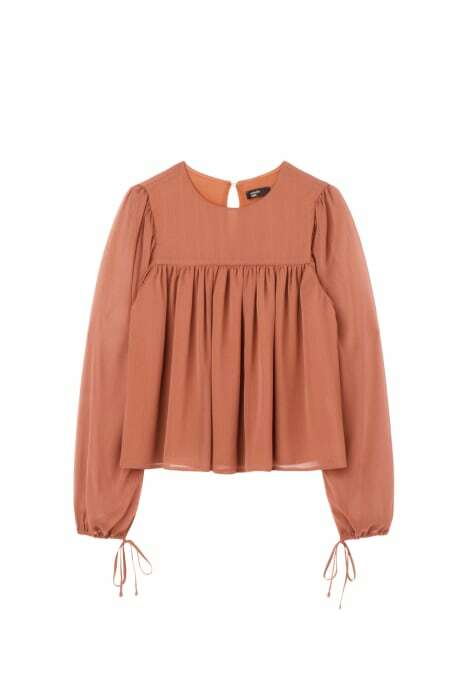 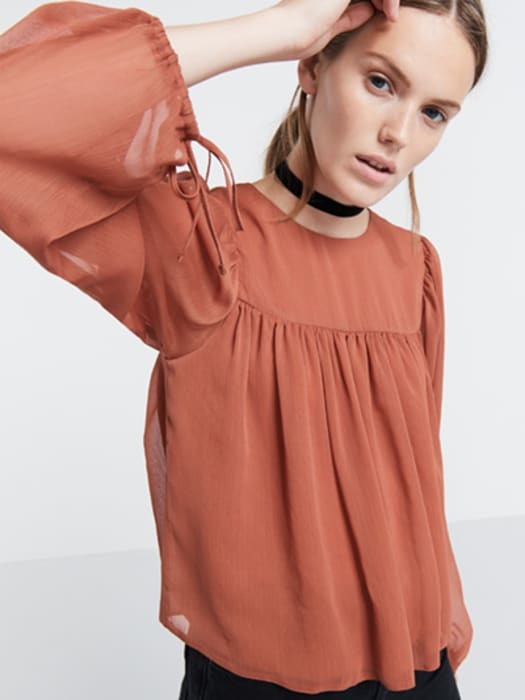 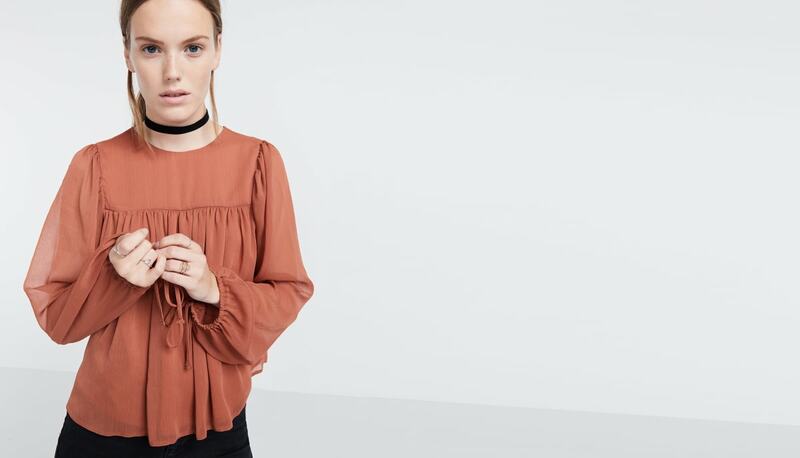 Look to ruffles for a catwalk-worthy style statement with this Chiffon Smock Top. 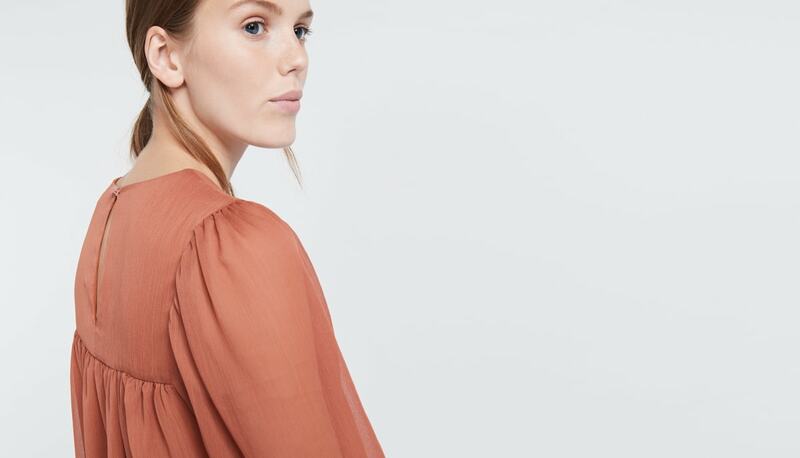 Crafted from featherlight fabric, the voluminous sleeves and gathered detailing creates eye-catching movement. 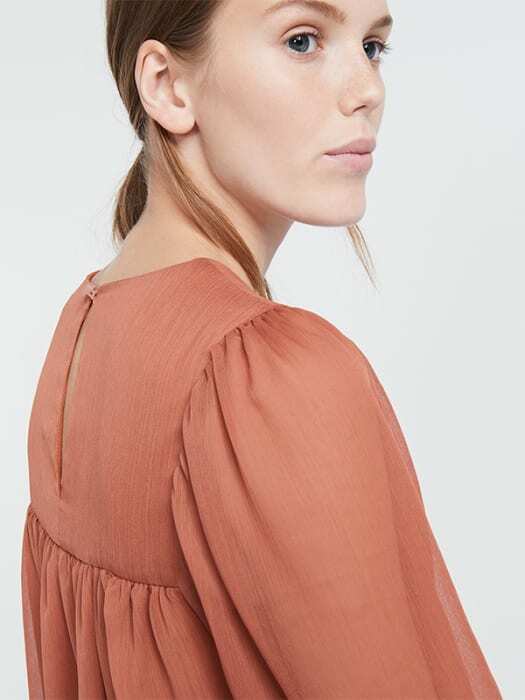 Counterbalance the shape with super-skinny jeans, or turn volume to max with a pair of culottes.